NYCC was jam-packed with awesome stuff. We learned plenty about some neat upcoming games and projects from the biggest names in comics. You’ll learn all about what we did when we finish preparing our main coverage, but sometimes when you dig and search, you find cool things you hadn’t expected. In this case, right on the fringe of the area called The Cultyard, we found the good folks at mimobot. After talking to them, and taking a look at what they have to offer, we thought you guys would want to know. Everybody uses USB drives these days. They are staggeringly useful, if not down right indispensable. Great for toting around our important files and even our Xbox360 saves and profile, I know I feel lost without my precious storage. There’s no end of choices for capacity, speed, and the like, but when you get right down to it, the visual landscape can be a bit sterile. Mimobot is here to fix that. 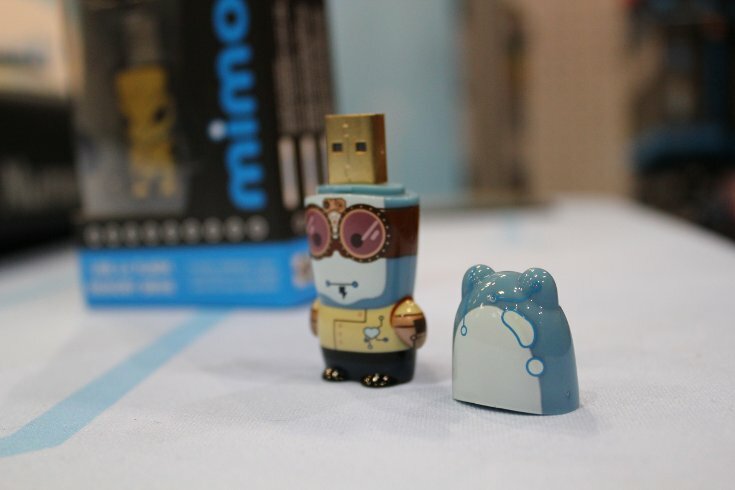 Mimobot is a line of flash drives with character, and they achieve the effect in a fairly unique way. Every drive has the same basic shape, a little bit like a teddy bear. One would think that this would lead to a fairly limited lineup, but that couldn’t be farther from the truth. Artists have transformed that simple shape into robots, monsters, pirates, demons. You name it. They even have a substantial licensed line-up, including new Star Wars stormtrooper figures with helmet-caps that not only reveal the usb plug, but whether it was Luke or Han that was disguised. 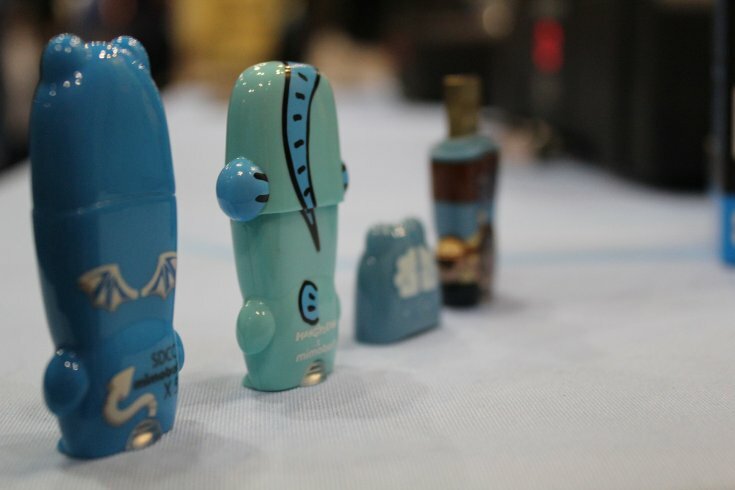 And while the drives are instantly recognizable as their characters, their shape and style makes them uniquely mimobot. 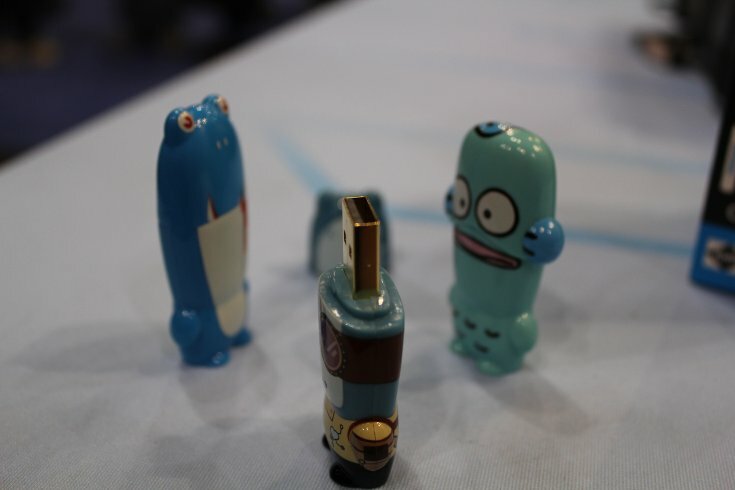 Every drive is part of a limited run, and new designs are constantly on the way, not just through partnerships with properties like Hello Kitty and Happy Tree Friends, but from the community itself. 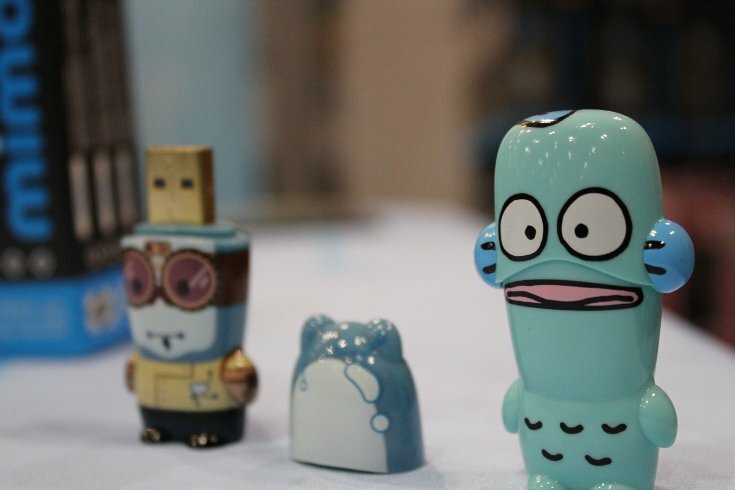 Not unlike the DIY toy Munny, the basic shape and open design process allows a community of artists to craft their own ideas. Design contest winners get their own limited run. That sort of dedication to community involvement scores them a lot of points in our book, and is a great way to ensure that every mimobot remains a collectible art piece with a digital soul. 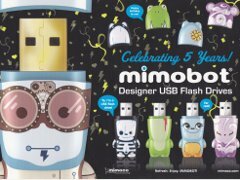 The mimobot folks were good enough to send us home with one of their community designed drives to pass along to a lucky reader, so keep your ears open, because we’ll be posting a follow up soon with some more about the company, and how you can get a chance to score a free mimobot. Until, check out their gallery at http://www.mimoco.com.